Our little shop offers a selection of local produced, unusual gifts and home-made specialities: this is the only place you can buy our unique monastery spirit. 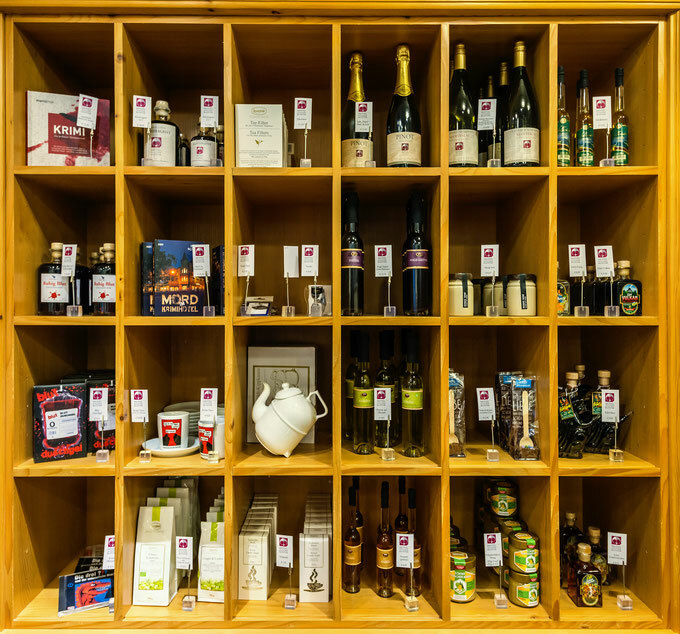 The range includes selected wines from our winegrowers, fine fruit brandies and Eifel honey, Eifel crime thrillers and handcrafted accessories from local designers. Come and take a look, we are open 24 hours!